Learn proven methods on how to reposition your company without changing its mission or culture to make it more attractive for a liquidity event. Whether you are an entrepreneur, a private equity or mezzanine investor you will learn proven techniques on how to take advantage of the 24-month window prior to increasing shareholder proceeds upon a sale. This meeting will consist of panelists Michael Marhofer of Benesch Law, Tim Meaney of EdgePoint Capital, Mike Trabert of Skoda Minotti, Ryan Yerkey of EBO Group and will be moderated by Jay Freund of Stratford-Cambridge Group and Steven Ross of Squire Ridge Company. This meeting is sponsored by Benesch. This meeting will be held at the Site Centers (FKA DDR Building). To learn more about upcoming events, visit www.EPICleveland.org. The EPI Northeast Ohio Local Chapter is different than other groups because it brings together a diverse group of professionals from a wide range of specialties that can naturally work collaboratively on exit planning, succession planning, value growth, transaction or any engagement from both sides of the equation. The chapter meets regularly to network, reconnect, grow knowledge, and sharpen their skills with a common goal: Change the outcome for transitioning business owners. Make plans to join us for future events and connect with the local leadership by visiting www.EPICleveland.org. 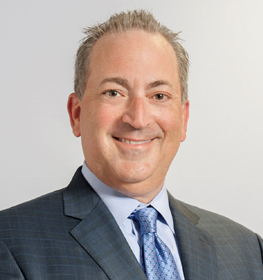 Michael F. Marhofer is Chair of Benesch’s Private Equity Practice group, co-chair of the firm’s Corporate & Securities Practice Group and a member of the firm’s Executive Committee. His practice focuses on mergers, acquisitions, joint ventures and divestitures for a wide range of companies and industries. His experience with private equity funds helps him assist clients in capital formation matters, including venture and mezzanine capital financings. Clients also rely on him to provide day-to-day counseling on a full range of corporate and private equity topics and he regularly negotiates and drafts all types of commercial contractual arrangements. 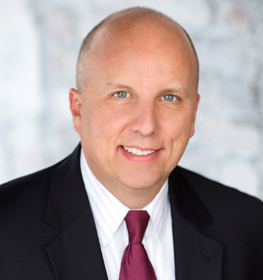 Michael serves and has served on the board of directors and as corporate secretary for many privately-held companies. He is also an Advisory Board Member for Evolution Capital Partners. Michael is a member of the Cleveland Development Board for Miami University and also has served on the Advancement Council for The University of Akron College of Business Administration for many years. Tim Meaney a senior M&A and Corporate Finance professional with extensive advisory experience in the areas of buy and sell-side mergers & acquisitions, corporate divestitures, senior and subordinated debt financing, private equity, and cross-border transactions. As a Vice President with EdgePoint Capital, Mr. Meaney primarily provides day to day project management on active M&A engagements, coordinates development of deal marketing materials and company positioning, manages buyer outreach and due diligence, and facilitates key deal negotiations on behalf of clients. Mr. Meaney regularly works with entrepreneurs, small- to middle-market corporations and family-owned businesses, providing general business and transaction guidance to owners on transition, and often serves as a liaison with other professionals. 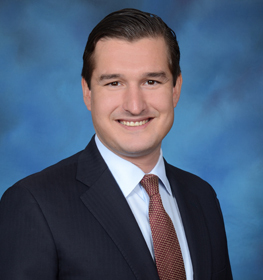 Prior to EdgePoint Capital, Mr. Meaney worked as a Sell-side Equity Research Analyst at Longbow Research, providing investment coverage and transaction analysis of publicly-traded consumer durables and logistics companies. Mr. Meaney received his Bachelor of Arts in Economics Management from Ohio Wesleyan University where he was a member of the varsity men’s basketball team and remains an active alumnus. Mike Trabert is a partner and leader of Skoda Minotti’s Value Acceleration/Exit Planning and Transaction Advisory Services group. He is a Chartered Merger and Acquisition Professional, a Certified Exit Planning Advisor and a Certified Merger and Acquisition Advisor. In 2017, Mike was recognized with the Exit Planner of the Year award from the Exit Planning Institute. Through his experience, he understands the diverse goals and objectives of businesses and their owners. Mike has worked extensively with clients ranging from start-up to multi-national organizations with over $1.5 billion in annual sales and focuses on helping our clients build and develop their businesses. Mike is active in Skoda Minotti’s business valuation practice. As a Certified Valuation Analyst, Mike understands the intrinsic value of the elements of a business and assists clients in maximizing their value. Internally, Mike currently leads Skoda Minotti’s client service team and has been responsible for the firm’s quality control standards and technical review process. Mike graduated from Kent State University in three years where he received his Bachelor of Business Administration degree in Accounting. He is a member of the American Institute of Certified Public Accountants, the Ohio Society of Certified Public Accountants, the National Association of Certified Valuators and Analysts, the Middle Market Investment Banking Association, the Exit Planning Institute, the Alliance of Merger & Acquisition Advisors and the Association for Corporate Growth. Mike was recognized in the National Register’s Who’s Who in Executives and Professionals. Mike has attended a regular season baseball game in over 60 venues. 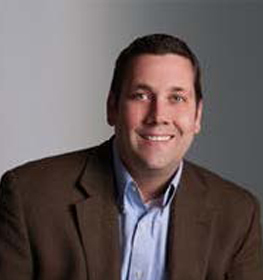 Ryan Yerkey is a former Board Director and Operating Executive at EBO Group, a Sharon Center, OH-based ESOP which served as a holding company for its industrial (PT Tech and AeroTorque) and healthcare (TransMotion Medical) business units. Mr. Yerkey’s most recent role at EBO Groups was as President of PT Tech and AeroTorque (collectively “PT Tech”), a premier designer of industrial clutches, brakes, and power take offs used in specialty equipment for the mining, wood waste recycling, aggregate processing, metal processing, and wind power industries. In this role, Mr. Yerkey provided oversight and management of all operating activities, and in 2017 successfully managed the sale of the business to The Timken Company (NYSE: TKR). Prior to his role at PT Tech, Mr. Yerkey was the President and Chief Operating Officer of TransMotion Medical (TMM), a leading manufacturer of medical stretcher-chairs, a value-added, and disruptive alternative to traditional transport stretchers, procedural tables, and recovery recliners in acute care settings. Mr. Yerkey grew the TMM brand and market and then successfully managed the sale of the business to Winco Mfg., LLC (a Capital for Business portfolio company) in 2014. Today, Mr. Yerkey serves the Director of Corporate Growth for Cleveland Electric Laboratories, a family-owned provider of industrial thermocouple products, turbine engine testing & instrumentation, fiber optic sensing solutions, and engineering services. Prior to EBO Group, Mr. Yerkey worked as a Senior Sourcing Specialist at Swagelok. Mr. Yerkey earned a Bachelor’s degree in Manufacturing Engineering from the University of Dayton and an MBA from Cleveland State University. Prior to joining Stratford-Cambridge Group in 2018, Jay’s 25-year plus career began in investment banking and evolved to principal investing in private equity and other junior capital opportunities. Within these positions, Jay has gained valuable experience partnering with lower middle-market management teams in the manufacturing, industrial/business services, and value-added distribution sectors. Jay has been associated with firms including Canal Capital Partners, PNC Erieview Capital (fka National City Equity Partners), Banc One Capital Corporation, and The Ohio Company. His primary leadership roles at SCG are to assist in (i) originating, evaluating, closing, and managing portfolio company investments, and (ii) continuing to build and maintain investor relationships. Jay is currently co-chair of the leadership council for the Alliance of Merger and Acquisition Advisors (AM&AA) Northeast Ohio chapter. In addition, he is an active member of the Cleveland Chapter of the Association for Corporate Growth (ACG). Jay contributes time to the boards of non-profit organizations in the Northeast Ohio region, particularly groups that look to improve the lives of individuals in the community. 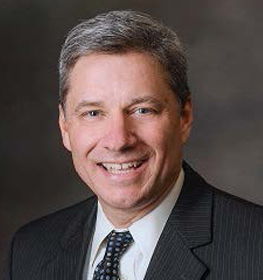 He received a BSBA in economics from Ohio Northern University and his MBA from the Krannert Graduate School of Management at Purdue University. Steven Ross is President of Squire Ridge Company, a private equity firm with committed capital that acquires niche manufacturing, value-added distribution and specialty service companies for long-term ownership. Prior to founding Squire Ridge in 2013, Steve was a General Partner of MCM Capital Partners, a private equity firm, where he spent 15 years. Steve serves as a board member on a number of privately held businesses including EnviroScience, Inc., Allegheny Performance Plastics, and ProFormex, Inc. Steve is currently co-chair of the leadership council for the Alliance of Merger and Acquisition Advisors (AM&AA) Northeast Ohio chapter and is a member of the Cleveland Chapter of the Association for Corporate Growth (ACG). 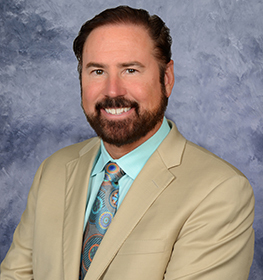 Mr. Ross currently serves as a Vice Chair of the Hawken School Board of Trustees and a member of the Board of Trustees of the Musical Arts Association, Cleveland Clinic Foundation, Cleveland Clinic South Pointe Hospital and The Human Fund. Additionally, he serves on the President’s Visiting Committee at Case Western Reserve University and as Chair of the Leadership Council for Cleveland Clinic Children’s. Mr. Ross also served on the Dean’s Advisory Board for Boston University’s Questrom School of Business. Mr. Ross holds a Bachelor of Arts degree from Indiana University and a Master’s Degree in Business from Boston University’s Questrom School of Business.